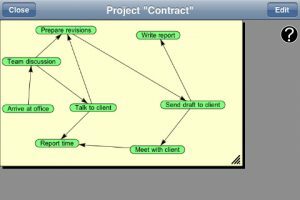 If you deal in project management, or find it useful to plan out your projects in detail, iTask (iTunes link) from developer TopLineSoft Systems is definitely worth a look. 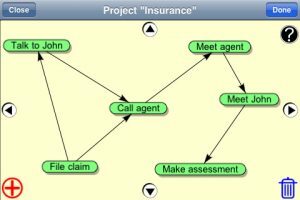 iTask allows you to visually piece together projects into a ‘task-map’, which demonstrates the desired order of task completion for that project. 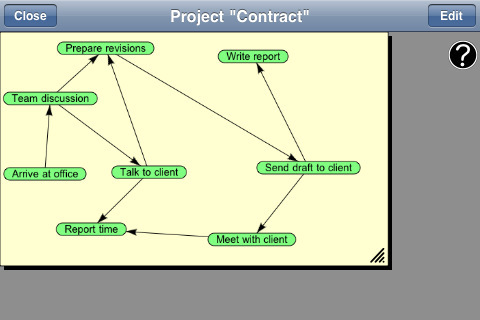 The task-map can be resized, zoomed in/out and manipulated in all directions to allow for large projects with many steps. Once you have input a new project into iTask, selecting ‘Edit Graph’ allows you to go into the task-map and add new tasks, as well as specifying their completion sequence. 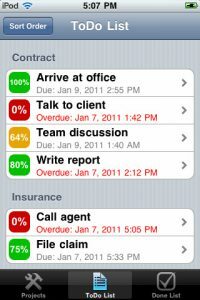 After you have ‘started’ the project, tabbing onto ‘ToDo List’ enables you to assign individual tasks to a responsible person, change due dates and update task progress on a scale from 0 – 100% complete. 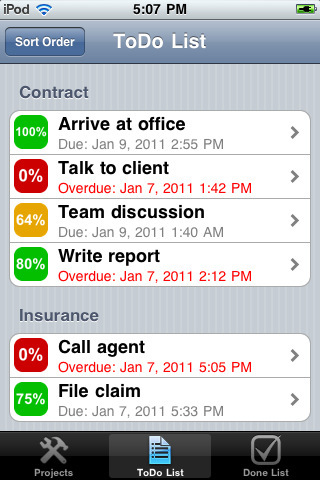 Tasks start out red, but change in color from yellow to green as they reach completion. This of course, has to be input directly by the user though, and relies on a personal estimation at the level of completeness. 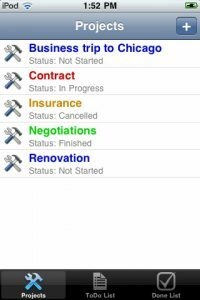 The ‘Done List’ compiles a list of all completed tasks, which can be cleared/deleted but not restored – so you have to be sure that you definitely want to finish a task before hitting the button. 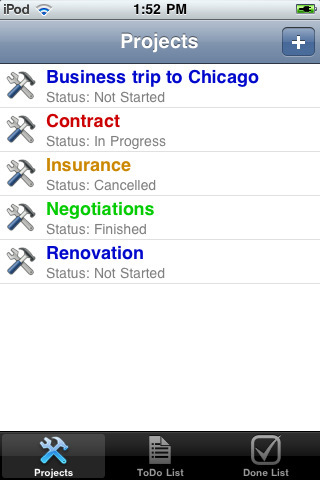 Due to the very nature of a project-planning app such as iTask, it’s unlikely to appeal to the consumer market due to the benefit of its features being largely redundant for simple domestic projects. iTask is however, likely to find a home amongst business users for its streamlined features and ability to simplify complex multi-stage projects. iTask is compatible with iPhone, iPod touch, and iPad. 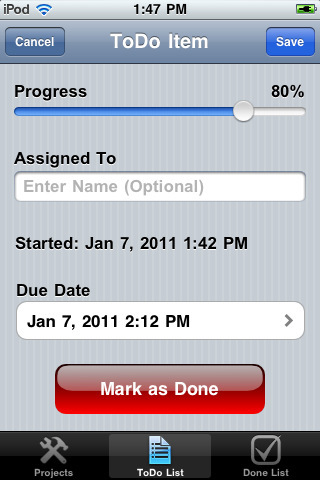 Requires iOS 4.2 or later.